Terms and Conditions of Service between You and FreeMarketsDefence.com (Portal) are described in the succeeding paragraphs. Registration on the Portal would mean that You accept these Terms and Conditions, and any other terms as may be stipulated at a later date. Should you find any terms not acceptable, you can cancel your registration with us. You are being designated as a User in this text. (a) The User will select a User ID and Password to access the Service. He shall maintain confidentiality of the ID and Password. The User will inform our Webmaster immediately in case of misuse of the ID/Password. The User accepts that the Portal shall not be liable for any losses or damages arising from any misuse of his ID and Password. (b) The Portal may permit Users access to products and services offered by third party websites. We shall not be liable for non-availability of such websites, or any products & services made available on such websites. FreeMarketsDefence.com shall not be responsible or liable, directly or indirectly, for any loss or damages caused due to use of such websites. (c) Data/Entries in the Member Zone for various Buying/Selling activities would be available for 45 days at a time. All entries except 'My Account' head of the 46th day would be deleted by the system automatically. This would, hopefully, hasten-up the order processing, and also keep the services efficient. (d) FreeMarketsDefence.com reserves the right to limit, deny, terminate, prioritize, modify any of the Contents/Services and/or all of its features unilaterally. All new features/ modifications/ upgrades so introduced shall be governed by these Terms and Conditions unless otherwise stated. Fee structure would be modified as and when needed to charge for new features, or to meet the higher costs of operations. The Portal shall not be responsible for any losses/damages to Users as a result. 3. Responsibilities & Liabilities of Buyers, Sellers, Agents, Consultants, and Other Users. (a) Buyers, Sellers, Agents, Consultants, and Other Users of FreeMarketsDefence.com are solely responsible and liable for any acts of omission and commission which may result in any violations and trade irregularities of any laws of the land anywhere in the world, and any losses/damages resulting from it. FreeMarketsDefence.com would be fully indemnified, and has no responsibility in the matters. (b) The User is solely responsible for all information/data provided to the Portal during Registration or any time later. The Portal acts as a ‘conduit’ to present this information to other Users of the Portal. Responsibility of correctness and copyright issues related to the information/data solely lies with the Member. In case the Member notices any ‘mistake’ in posting the information/data on the Portal, he should correct it himself using 'My Accounts' facility within 48 hours of its posting. In case certain data has been posted by the Webmaster in the 'Exhibition Gallery', 'What's New' or at any other place based on the inputs from the Member(s) or otherwise, the Member(s) should inform the Webmaster for any corrections in it, failing which it would be assumed to be a correct posting. This is to cross-check any ‘unintentional mistakes/errors’ at our end. (c) Users are solely responsible for all of the terms and conditions of the transactions between themselves and other Buyers/Sellers/Agents/Consultants (as the case be). FreeMarketsDefence.com bears no responsibility for any issues arising from it. (d) FreeMarketsDefence reserves the right to initiate action against any defaulter Member who has used the Portal against usually understood norms of trade and fair practices, and emerging e-commerce codes. (a) Our Fee Structure would be published from time to time on the Portal. All orders before publishing the new fee would be valid at old rates. All payments are in advance, and non-refundable. Foreign Companies would pay in US Dollars at the rates prescribed for them. Indian Companies would pay in INR. Indian Cos. have been provided special rates. (b) All rates are exclusive of any taxes, duties or Government/banking/transactional/ handling charges. (c) The Portal reserves the right to modify its pricing structure and payment conditions any time. (a) FreeMarketsDefence.com may terminate a Service or discontinue provisions of a Service at any time. Membership of the User could be terminated immediately by Notice if there is serious breach of any of the Terms and Conditions. This would result in no liability on the Portal. (b) In case of non-payment of fee by a stipulated date, termination of membership would be resorted to without Notice after the due date. (c) All licenses, rights and privileges granted to the User shall cease on termination of his Membership. (d) All rights or liabilities of the parties who were members of the Portal ,accrued before termination of the Membership would remain valid/operative, and enforceable by law. The Portal accepts no responsibility whatsoever for the contents/information/ interactions amongst Users. We have done our best to place the ‘inputs’ received from the Members to the best of our intentions and capability. Users are requested to inform us of any wrong contents/information on the Portal. Users be aware to use this information for their business purposes as per their business acumen, and understanding. Any losses/damages resulting in usage of the Portal by our Members is not the Portal’s responsibility/liability. (a) FreeMarketsDefence.com only accepts the liability limited to three months of the subscription paid by the User in case it is accepted that the Member has not been able to get the Services of the Portal outlined by Us. (b) In all other cases of liability, if any, FreeMarketsDefence.com limits its liability to Rs 100 (Indian Rs One Hundred only) per User claim. (c) Claim for these liabilities should be filed to the Portal within three months of the liability becoming effective. (a) All notices for legal action and subsequent correspondence would be addressed in writing to the Corporate Office of the Portal. E-mails will not be valid in this case. 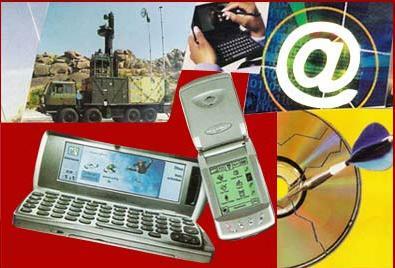 (b) All judicial actions resulting from violation of the Terms and Conditions outlined above, or anything else related to FreeMarketsDefence.com, or its team would be subject to non-exclusive jurisdiction of the Courts in New Delhi, India, if the matter(s) can not be resolved mutually or through Arbitration, in that order; legal action being the last option.